The environmental and social cost of producing semiconductors could be too high for China to bear. Meeting demand for water is a major challenge as China deals with the process of urbanisation and providing sufficient clean drinking water is a clear priority, but it is industry that is putting the largest strain on water resources. In the article below, China Water Risk examine the link between rising urban populations and the demand for semiconductors, and reveals how this is one industry that is drinking the tap dry. Clearly, with an increasing population, there will be a corresponding increase in municipal water demand. The 2030 Water Resources Group expects China’s municipal water to rise significantly, from 77 billion cubic metres in 2010 to 133 billion cubic metres in 20302 — an increase of 72 per cent. But what about non-municipal uses? Urban growth is accompanied by rising affluence. Urbanites use more electricity, eat more meat and make more extravagant consumer choices, all of which lead to increased industrial and agricultural water use. Given limited resources, can China cope with urbanisation’s direct and indirect impacts on water? Can China’s semiconductor industry continue to grow to support the rise in demand for electronics? Below are five facts you should know about water and semiconductors. 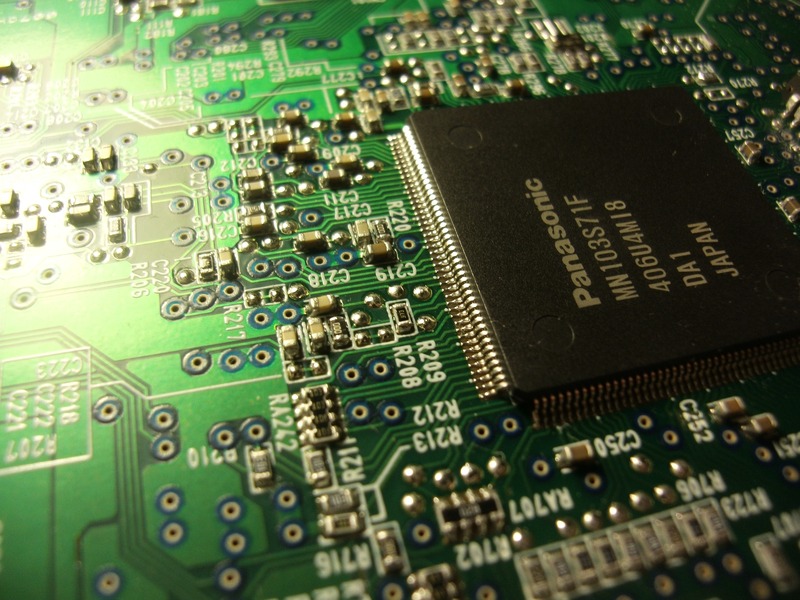 A semiconductor is a miniaturised electronic circuit containing a multitude of transistors. Water is fundamental to their manufacture. Over a series of steps, semiconductors are built in layers on silicon wafers into integrated circuits (also called microchips). After each one of several dozen layers of semiconductors are added to the silicon wafer, it must be rinsed, requiring massive amounts of water. Creating an integrated circuit on a 30cm wafer can require approximately 2,200 gallons of water4 meaning a large fab that processes 40,000 wafers per month can use upwards of 4.8 million gallons of water per day. This equates to the annual water consumption of a city of 60,000 people.5 Clearly, the manufacture of semiconductors is highly water intensive. Yet despite these substantial levels of water consumption, when the Chinese Ministry of Industry and Information Technology (MIIT) and the Ministry of Water published a notice to further promote water conservation in industry, the semiconductor sector was not included as a priority industry. Industries like iron and steel, textiles, paper, oil refining, and chemicals were on the priority list instead. Enter the water and energy nexus. In China, 97 per cent of power generation is reliant on water, and the government plans to add a further 1.2 terrawatts (1012 watts) of water-reliant power by 20302: equivalent to adding the combined total capacity of Australia, UK and the US. This aggressive power capacity build-out will add further stress to water resources, and could leave the semiconductor industry exposed to a potential double whammy of power and water shortages. China’s water-deprived regions. Please click for a larger image. Despite this water-intensive manufacturing process, a large number of fabs are located in arid or semi-arid regions of the world. Currently 11 of the top 14 semiconductor fabs in the world are located in the Asia Pacific region, accounting for over 75 per cent of total industry sales.6 This inevitably adds further stress to water resources already under pressure from rapid population and economic growth as well as climate change. Despite the millions spent on trying to clean up its act, the semiconductor industry in China is suspected of being involved in a large number of environmental violations. The production of semiconductors also utilises a number of chemicals. Because of this, wastewater from fabs has been found to contain a range of harmful contaminants including arsenic, antimony, hydrogen peroxide, and hydrofluoric acid. A search of the Institute of Public and Environmental Affairs (IPE) water pollution database reveals over 10,000 environmental violations for key semiconductor companies over the period 2004−2013. The IPE database draws on government data. Historically, semiconductor companies in the United States have been subject to litigation linked to groundwater. With the current levels of groundwater pollution in China and ongoing investigations by the Ministry of Environmental Protection (MEP), how long will it be before semiconductor companies start finding themselves named and shamed on the MEP’s blacklist? Share the post "Thirsty work"